Beekay Niryat Limited, was incorporated on 6th June, 1975, under the Companies Act, 1956, in state of West Bengal. It was incorporated as M/s Giri Finance & Trading Limited which was changed to Beekay Niryat Limited on 4th May, 2001 pursuant to the Scheme of Amalgamation dated 15th January, 2001 with 9 (nine) Companies. The Register office of the Company was changed in the year 2014 from Kolkata, West Bengal to Jaipur, Rajasthan. The Equity Shares of the Company is listed on The Bombay Stock Exchange Limited. 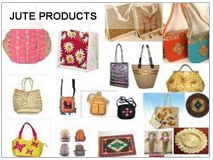 The main business of the company is to trade in jute business and investment in shares of other companies. Â© COPYRIGHT 2014 All Rights Reserved Beekay Niryat Limited. Design & Developed By Websquare Software Pvt. Ltd.